Posted on 04/08/2019 Can Extra Foot Bones Cause Me Problems? Have you been experiencing foot pain and you can’t figure out why? Research shows that a vitamin B deficiency may be the culprit! There are two types of B-vitamin deficiencies that have been shown to cause foot pain: Vitamin B-1 and Vitamin B-6. Vitamin B-1, also known as thiamine, is a water-soluble vitamin that your body can’t store (it is excreted every time you pee.) B-1 helps you digest carbs, use fats and proteins, make new red blood cells and support your immune system. People with B-1 deficiencies may develop edema, which caused burning, tingling and stabbing pain in your feet and lower legs. 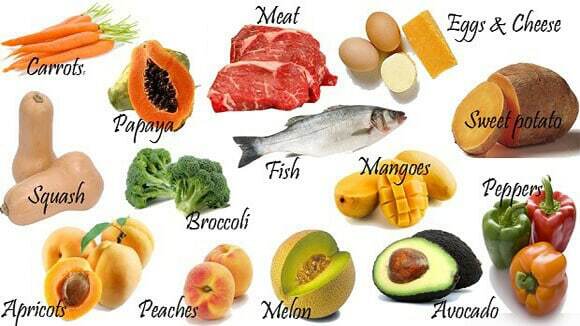 Vitamin B-6, also called pyridoxine, does much of the same work as B-1, but also supports your nervous system. As with a B-1 deficiency, people whose B-6 levels are low will experience painful burning and tingling sensations in your feet. Unfortunately, many of these vitamin deficiency symptoms mimic the signs of other conditions, particularly the effects of peripheral neuropathy, a condition that diabetics often develop that restricts blood flow to the hands and feet, causing burning, tingling and/or numbness. The best way to determine the exact cause of and best treatment for your foot pain is to schedule an appointment with a Houston podiatrist. If you are experience tingling or pain in your feet, come in and see Dr. Andrew Schneider to determine the best way to alleviate your symptoms.